What does Monday Night Hospitality work towards? We often dwell on this, as we see our guests join us in such need each week. I have come to believe it is to improve the lives of those that come to us – whether it is providing a meal with dignity, vital social connections or access through our social workers to needed medical services, housing or mental health support. I have come to agree with others that our mission is assisting the whole person that comes to us in need – their nutritional issues first, then their mental health and finally assisting them on the road to recovery. This past week and weekend, I was a bystander as our Social Worker labored with a renowned NY Hospital. He helped one of our guests who was successfully overcoming an addiction and needing an alternative to living on the streets. There is a gap – when a person leaves a hospital on a weekend there is no hand off to the NY Department of Homeless Services or the Department of Social Services. The gap can be life ending – a return to the streets and backsliding into addiction. The coordinator of St. James along with our social worker advocated with our City Council Member's office – Ben Kallos for support and fortunately it was there. 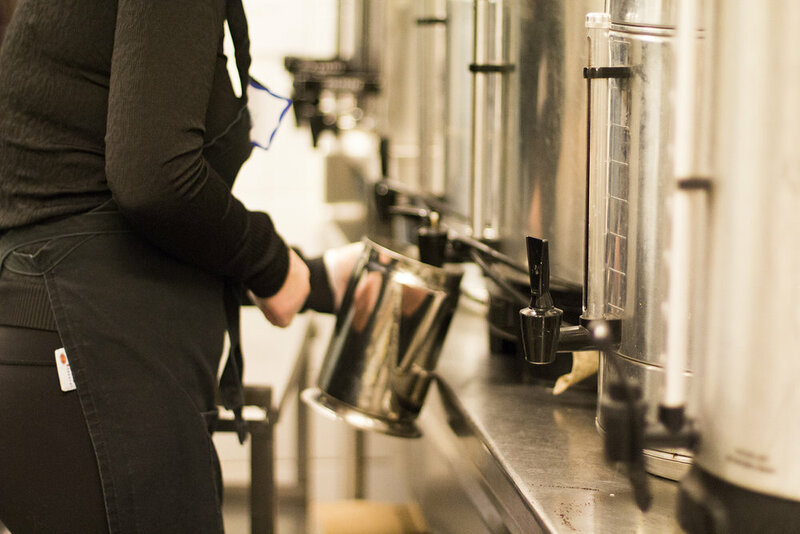 No one compensates our social workers for weekend support of our guests – it is done out of the same love that brings our cooks to make soup and to-go meals on Saturdays. We are so fortunate to be located in the city’s District Five and have Ben Kallos working to provide alternatives to our guests who live on the streets. Our volunteers are making a difference each week and providing hope to so many in despair. We also have an educational mission. We have recruited college students to join us on a regular basis. It is vital that those who will lead know the face of urban poverty and come to understand that the distance between the lives of our guests and our own lives is so very small. Manhattanville College undergrad students are regular supporters, who have invested in a van so students can commute from their Westchester Campus. Nursing and Social Work majors from Appalachian State College (the Mountaineers) in North Carolina join us each spring and NYU students from the Steinhardt’s Department of Applied Psychology help us each year. The list goes on to include Fordham, Columbia and Pace College. Sharing our work with those that will be leading this world is so very important. A young student from Manhattanville once shared that for her “Monday Night Hospitality was best night of the week”. Those students spend close to two hours commuting each way to join us and deserve our thanks for their help. Join us at the March 21st Heart & Soul Benefit. Many of your Monday night friends will be there and it is a way to that this work is important. Each year Heart & Soul contributes more than half of our food budget and was the source of funding that led us to have social workers each week. Thanks to JetBlue, you could go to Antigua! 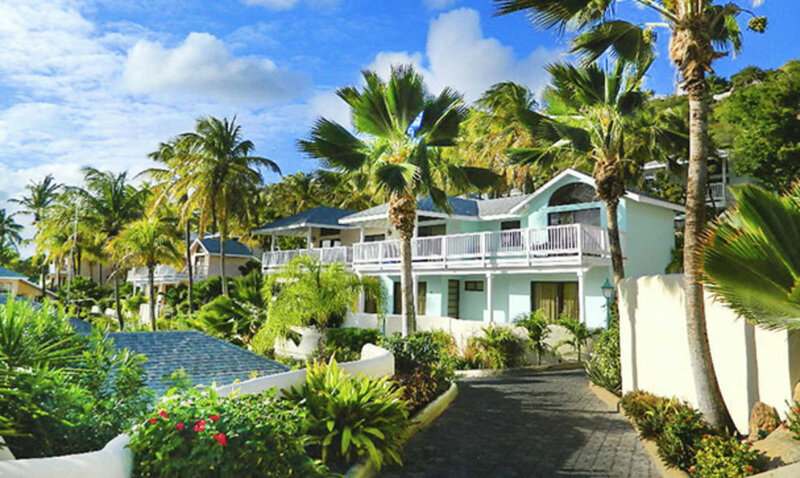 Our JetBlue team has put together a magnificent grand prize for the Spring Raffle – JetBlue airfare and premium rooms at the St. James Antigua Beachfront Resort. It would give us great joy if one of our Monday Night Volunteers was sitting out this cold spell in Antigua. On March 21st starting at 5pm in the Ready Hall will be the Heart & Soul Spring Raffle. Program managers include our own Kamal Shah and John Sheehan will be sharing what MNH means to them. Food and beverages are complimentary. Please join us in purchasing raffle tickets AND fly JetBlue – a loyal supporter of Monday Night Hospitality. George and Nancy will not accept this prize but are buying tickets and if they win the prize will go to a lucky Monday Night volunteer or donor. We are not alone in serving the urban poor and homeless on the Upper East Side. ETHOS (The East Side Task Force for Homeless Outreach and Services) includes all of our sister meal programs that serve our same guests on other afternoons and evenings. As a representative for All Souls our staff represents our companion meal program, Friday Soup, our lunch meal program. Other programs include St. James serving lunch on Tuesday, Jan Hus Presbyterian serving dinner on Tuesday, Temple Sharray Teffia serving lunch on Wednesday, Church of the Epiphany serving dinner on Wednesdays, Madison Ave Prespeterian serving dinner on Thursday, and Temple Ennaul-El serving lunch on Sundays. Meetings include representatives from neighborhood shelters and outreach centers. Ben Kallos, Fifth District City Council Member, and his staff attend every session and fight for housing and benefits for our guests. Our guests attend many of these programs and use the meals and related food pantries to sustain themselves. All are important resources to our guests. It is not always chicken entrees (mexican, orange, barbecue, ginger spiced, lemon mushroom, the list is endless) and the Beef Stew was particularly loved by our guests. The beef was donated by NY City Food Bank so the cost was even less than a regular meal. Our chefs are doing an amazing job of serving every guest that joins us (including providing meals to go for those in garden that are not coming downstairs) while staying within the same annual budget that we have operated with for the last three years. That is our Chef Cesar Faigal at the stove working hard! OVEN & STOVE CLEANING COMPLETE! Arista was contacted to clean our stove & oven. They disconnected the gas lines, took the stove apart and cleaned a decade of grime off of the racks, oven floors and stove top. We purchased this commercial stove close to a decade ago with funds raised from volunteers – spending over $12,000 to remove the old stove (workers took it apart and carried the pieces upstairs) and assembling the new stove in its place. It was a good decision as the old stove no longer could hold proper temperatures and pilot lights were always failing. We prepare 300 pieces of chicken each week for our Monday Night guests and over 200 entrees for Friday Soup. The stove is the center point of our work. The cleaning was paid for by your volunteer donations and we are grateful for this opportunity to keep the infrastructure in top condition. Next up are the kitchen additions in April of two new reach-in freezers and a new ice maker that will meet the summers heat demands. A dozen NY students joined us on what has become an annual lecture held by our social worker. Our Senior social worker, John Sheehan, LCMS, provided a lecture on the needs and ways to best serve the urban poor to a group of NYU students. While specific guests we serve could not be described, he was able to speak in general terms about the cases that he and Irene face each week. Watching the students sitting in rapt attention to John’s words gives me confidence that the next generation of mental health professionals will be there to serve those in most need. If you would like us ask John to conduct a similar lecture for our serving volunteers please email me with the request.